Hyperrealism is now catching everyone, spreading also in other artistic movements, such as Street Art; using the most diverse techniques, incredible artists from all over the world create sumptuous masterpieces that will make you lose your head and stand with your nose up to look at the city walls! Street art is born as a provocative movement, as a mean for young artists, many times anticonformists, with the need to turn the spotlight on their art and through it express their points of view. From the 80s onwards, it becomes effectively a recognized movement by writing important pages in the history of art. 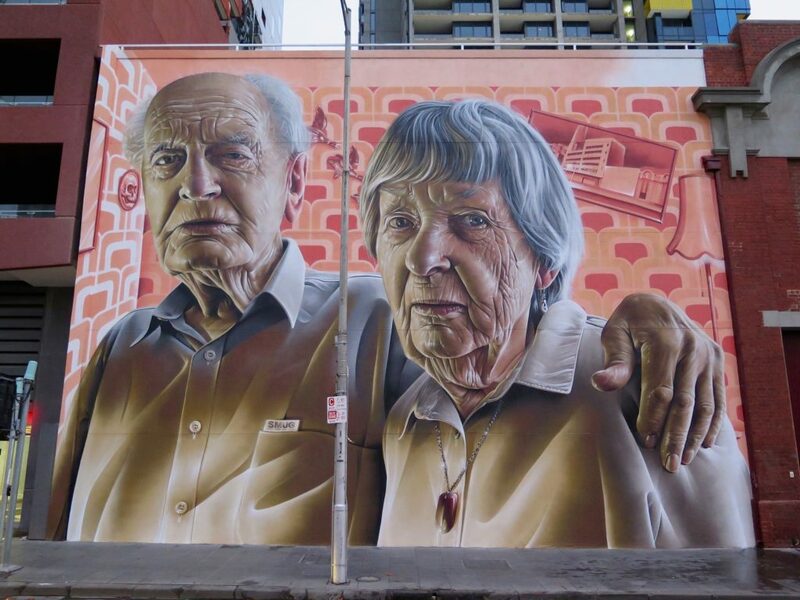 In the late years, we’ve seen some street artists who use a hyperrealistic technique to create outstanding masterpieces through the streets. 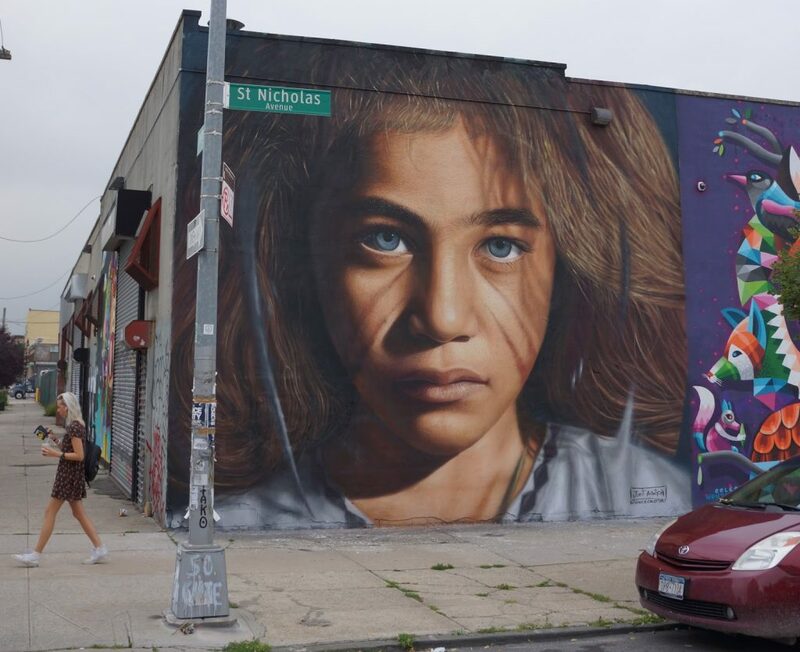 One of the most famous and appreciated about hyperrealistic street art is the Brooklyn artist Dan Witz, who realizes graffiti and installations, often hidden on the streets corners, to support important causes. 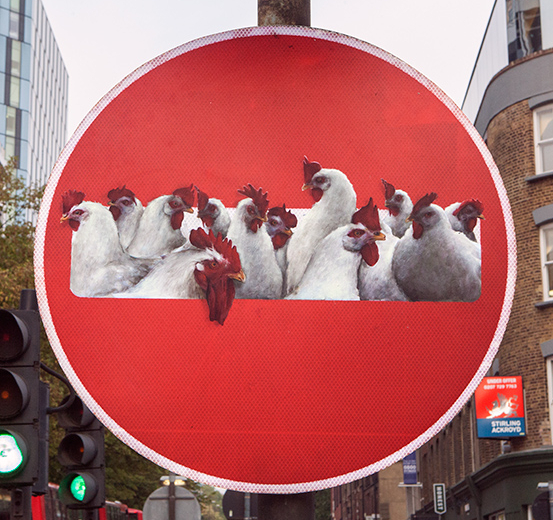 During 2014 and 2015, Witz created street artworks in London and Washington D.C. for the P.E.T.A.‘s campaign. in defense of the animal rights and against the cruelty inflicted on animals in the slaughterhouses. So, we can stumble on a painted grate through which we can see a little monkey used for experiments or feet of a chicken doomed to death. Strong images meant to shake and make aware people, painted on wood and installed with screws to many places on the cities. 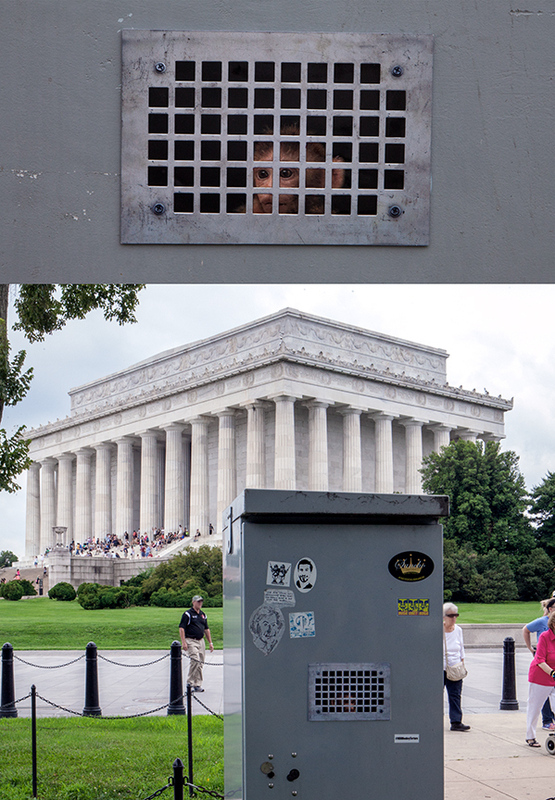 © Dan Witz in Washington D.C.
© Dan Witz in London for P.E.T.A. 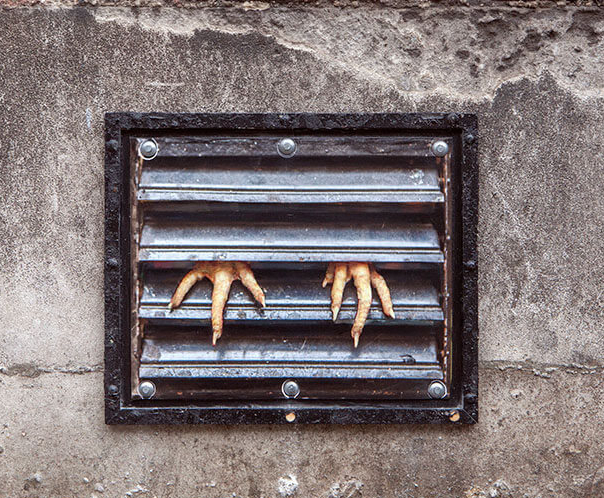 © Dan Witz in London. So many other artists use the same mean to express and give a voice to an idea. 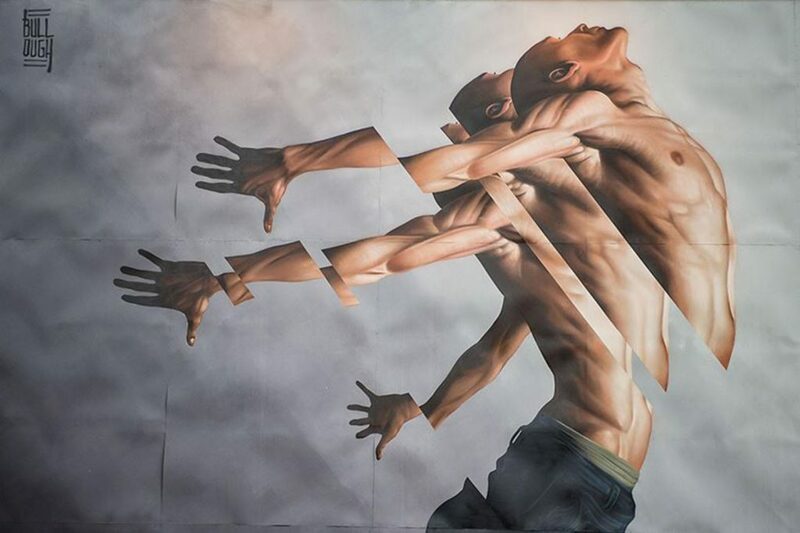 For example, James Bullough. His work is about mixing constrast and juxtapositions, he works in every way, from oils and ink on canvas to spray paint, creating artworks that are between realistic academic figure and stylized interruptions. Jorit, italian artist fascinated by African rituals, paints on the street giant hyperrealistic faces of famous or common people with some red lines on cheeks. 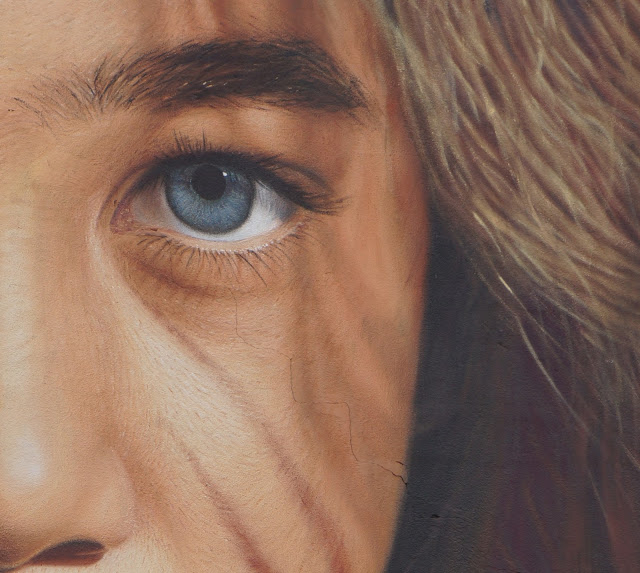 Other two examples of artists influenced by an hyperrealistic technique are: Hula, who uses the water to create extraordinary effects with semi-submerged women figures painted by standing up in balance on his paddleboard; SMUG, Australian artist based in Scotland, uses only spray paints to create photorealistic murals inspired by the people he knows and with whomever comes into contact. Need more of these articles? Buy Hyperrealism Magazine issues!